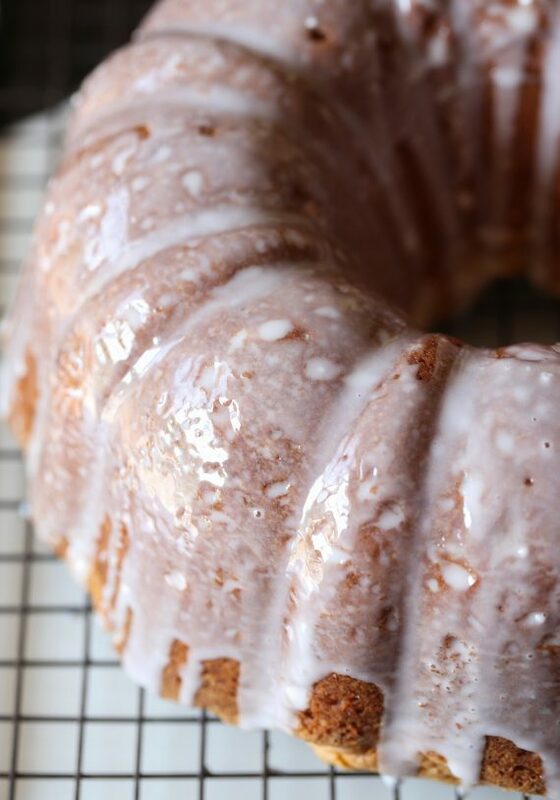 Coconut Cream Cheese Pound Cake is a soft, sweet pound cake with coconut throughout. It’s everything a perfect pound cake should be! In the past few weeks I have made so many desserts with coconut…Toasted Coconut Banana Bread, Crispy Coconut Chicken Strips, Frozen Sangria (yep), and Pineapple Cookies. I don’t know if it’s the warm temperatures that just have me in the tropical mood, but I’m coconut crazy! Preheat oven to 325°F. Coat a 10 cup bundt pan with nonstick spray OR coat with shortening and lightly dust with flour, tapping off excess. Set aside. In the bowl of your stand mixer fitted with the paddle attachment beat the butter and cream cheese together on medium speed until smooth. Add in sugar and mix for 2 minutes, until light and fluffy. Add in eggs, one at a time, the extract(s), salt, and baking powder until mixed, scraping the sides of the bowl as necessary. Spread batter into your prepared pan and bake for 70-80 minutes, or until a toothpick inserted into the center of the cake comes out clean. Allow the cake to cool in the pan for 10-15 minutes and then invert pan onto a wire rack to cool completely. Whisk the powdered sugar and milk together until smooth. Pour the glaze on top of the cake while it’s still warm. 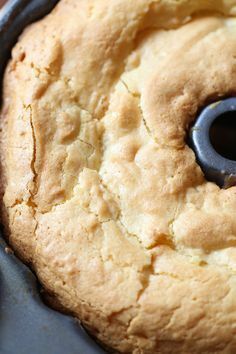 0 Response to "COCONUT CREAM CHEESE POUND CAKE"